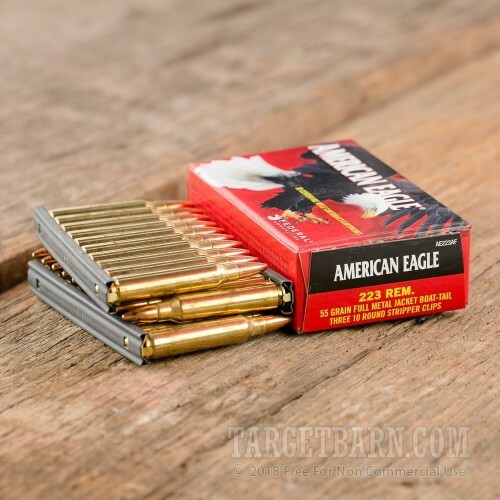 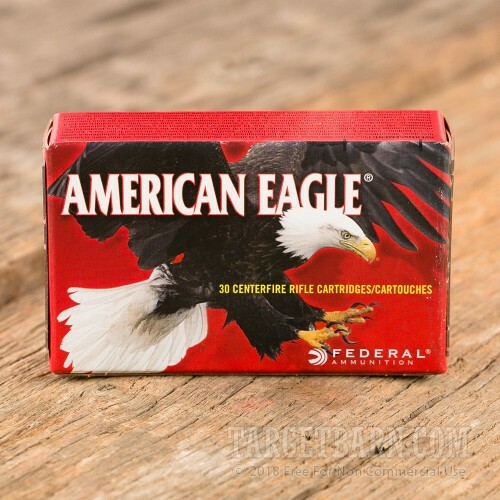 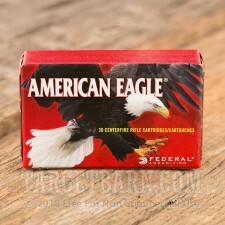 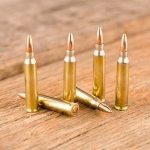 Federal American Eagle 223 Rem ammunition is perfect for all types of range training. 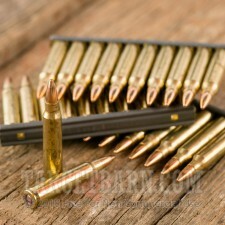 From marksmanship training to dynamic tactical training, this ammo will give you what you need. 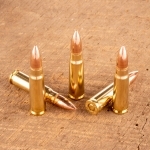 Each round has a 55 grain FMJ-BT projectile, with a reloadable Boxer-primed brass case, and is non-corrosive. 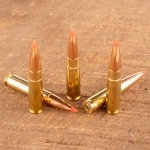 Boat-tail ammunition is more accurate than non-boat-tail ammo, particularly for long range shooting. 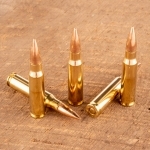 The boat-tail on this ammo helps to reduce yaw and drift of the projectile while in flight. Target Barn has everything you need to spend a day on the range, from cleaning supplies, to targets and ammunition. 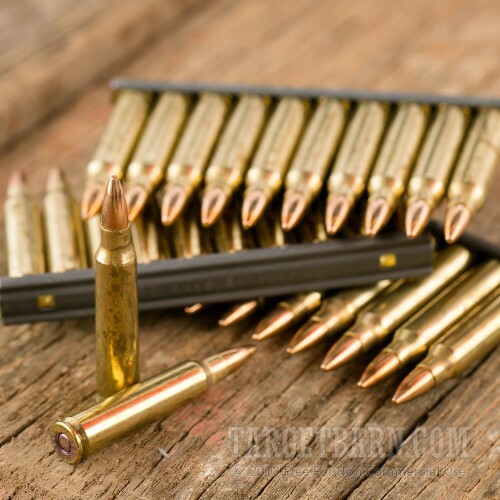 Order your 900 rounds today and save by buying in bulk.